The small chain of fitness centers, Peak Health & Wellness is always trying to push itself and offer more for it's members. Earlier this year Peak completed an all new indoor tennis center in Hayden across the parking lot from it's health club. The indoor tennis facility is quite large and has kept busy. But now, Peak is embarking on yet another big project, an expansion to that tennis center to act as a new home for the entire Peak Hayden location. 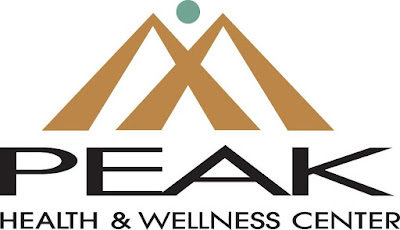 Peak Health & Wellness Hayden is located on the back side of the Prairie Shopping Center at 190 W. Centa Dr, with the tennis center next door on Government Way. 15,000 square foot weight room on the second floor. 2,400 square foot group fitness studio. The expansion will also include a new grand staircase inside the building and additional free parking areas. It is assumed that Peak will vacate the space in the shopping center upon completion of this new expansion. 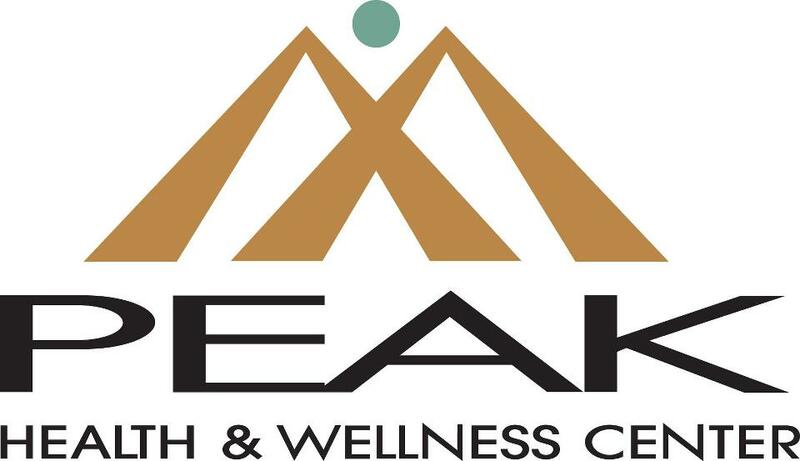 Peak Health & Wellness will also continue to operate their two other fitness centers in North Idaho. Other Peak locations include 940 W. Ironwood Dr. , Coeur d' Alene and 927 E. Polston Ave. , Post Falls. It hasn't been all that long since Once Upon A Child upgraded to a new bigger store in Spokane Valley. The chain has been going strong ever since in it's 5,100 square foot storefront at 14401 E. Sprague Ave. . But, the business is planning to grow once more locally, this time with an all new second location. Once Upon A Child's new store will be in North Spokane. The business will take over a long vacant strip mall space, adjacent to Louisville Laser. The store's address will be 6005 N. Division and will occupy about 4,500 square feet. The store will create about a dozen new jobs. The North Spokane Once Upon A Child will, like all other stores in the chain, buy and sell gently used " kid's stuff ". The stores typically sell their merchandise for much less then average department stores / mall stores. Once Upon A Child, does sell children's clothing, but they include much more. Customers of their stores can also find toys & games , books , movies , baby equipment and some furniture. Some new kids merchandise is also sold in the stores, in addition to the used. The planned North Spokane Once Upon A Child location is being worked on now and they hope to open soon. They hope to open in late October for buying merchandise, and selling to the public in December. Once Upon A Child is a chain business that uses franchises and has many stores all around the nation. The brand is a part of the much larger Winmark Corporation who is also the owners of Plato's Closet ( which also has locations in Spokane ) , Style Encore, Play It Again Sports and Music Go Round . While not a sure thing as of this posting, a predevelopment conference has been held with the City of Spokane to undertake a major redevelopment at a North Spokane shopping center. That center is the older Heritage North Shopping Center on N. Newport Hwy in between Holland Ave. , and the new Heritage Village Shopping Center, just North of The Y . Despite a few vacancies the Heritage North Center has been home the several small local businesses. But, under the plan, the existing center, located in two separate buildings would be demolished and replaced by a new building with a small group of national tenants. The plan calls for the new building to have three tenants with the building facing the Newport / Holland intersection, instead of just Newport Hwy as it does now. 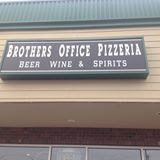 Brothers Office Pizza, one of the newer pizza places in Spokane Valley is expanding eastward. The locally owned and operated business ( owned by brothers ) is planning to open soon in Liberty Lake. This will be a second location for the pizza business, as they also plan to stay open at their original location , 13221 E. 32nd on the South side of the Valley. The new Liberty Lake location will have the same menu as the original location. It will also have a full liquor license for beer, wine and liquors. They hope to be open for business around Thanksgiving time and will be located at 21651 E. Country Vista Dr. Suite A. This is the anchor space of the shopping center by Home Depot there. While Brothers Office doesn't have a web site, their menu and some pictures of their pizzas can be found on Zomato ( formerly Urbanspoon) at - https://www.zomato.com/spokane-wa/brothers-office-pizza-spokane-valley . Brothers Office is primarily a pizza restaurant, however they also have some sandwiches. 319 S. Cedar St ( the Benewah Creamery " Milk Bottle " and adjoining storefront ) . 315 & 319 W. Sprague Ave. This is the former Big City Saloon / Trick Shot Dixie's bar building, that's looked a little sad with boards covering it's front in recent weeks. But, it looks like there is hope for the site, although there is not a new business set to open here just yet. However, it is a great old building with a lot of possibilities and space. *Inland Northwest Business Watch is not affiliated with SDS. Recently construction work started on the outside of Sullivan Square, at the corner of Sprague & Sullivan. Today, business signs are missing and workers are already hard at work, but for what? The center, that's anchored by Hastings and Harbor Freight Tools is undergoing a full exterior remodel. Once completed ( no estimated completion date has been given to me ) the center will have a new more modern look. Leasing flyers for the site show this rendering of the completed development. Sorry if their a little small, they can be seen in full size on NAI Black's web site www.naiblack.com . With some suites in the center are empty and available for lease ( as indicted above ) . There is already rumors of new businesses coming to Sullivan Square. I've heard that possibly, Ezell's Famous Chicken will open their second Spokane area location here. But, as of now just construction is happening at the shopping center. However it is important to note all businesses in the center today remain open for business during the construction. Shopping center at 615 N. Sullivan Rd. Another shopping center just a couple of blocks to the north of Sullivan Square also has a new look. The un-named center at 615 N. Sullivan has been remodeled and also has a couple of storefronts on it's northern end empty and up for lease. However, as of now there are no rumors about what new businesses might open there. Although with the new look, and high traffic area we expect it to be only a matter of time. While I'm only highlighting these two project now, it is of note that a couple of other projects are also happening or will happen soon in our area. Including a exterior remodel on part of Lincoln Heights Shopping Center on the South Hill. That remodel is to match the Rite Aid / 2nd Look Books side of the center with the Trader Joe's / Hallmark side which was remodeled when Trader Joe's opened a couple of years ago. Also the center on Sprague, between Argonne and Mullan is too be redone. 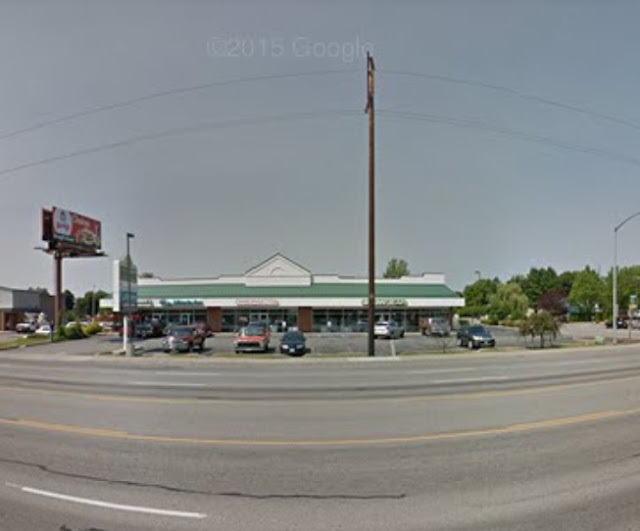 The former Apollo Spas store in North Spokane will become a three unit shopping center soon ( with a huge new business rumor on it ) . And, an all new shopping center / office development under construction now at 3rd & Browne in Downtown Spokane ( to have a Man Shop and Einstein Bros. Bagels ) . It's a sad day for local fans of the Tully's Coffee chain as the only remaining Tully's location in Spokane is closing. The location was a kiosk within the Wandermere Fred Meyer store at 12120 N. Division St. 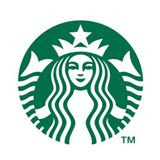 But, rest assured coffee drinkers will still be able to get their espresso's and latte's at the store as the Tully's kiosk is transitioning into a new Starbucks Coffee location. The store switch will not create any layoffs as employees of Fred Meyer's in store coffee stands are employed by Fred Meyer itself. 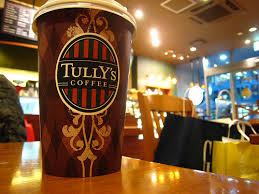 While Tully's Coffee will no longer operate coffee shops in Spokane, it is important to note that they are still in business with some of their coffee sold in Keurig K Cups at most area grocery stores. Tully's other former locations in our area ( including the one in Browne's Addition ) transitioned sometime ago into franchises of the Café Capri coffee shop chain. The final piece of the massive new Davenport Grand Hotel has finally opened for business. Opening just last week was the highly anticipated Table 13. Table 13 is a restaurant concept that is still relatively new to Spokane and is owned by Walt & Karen Worthly, the same couple that's behind all of the Davenport Collection hotels. Table 13 is described as a small plate restaurant where they recommend two or more plates per person to share with the table. The dinner menu at Table 13 is long, with plates for most any taste. Fish dishes like prawns and halibut sliders, all the way up to Korean short ribs and prime rib can be found. Prices at Table 13 are a little higher then some, with items starting at $6.50 and going up to $13.00 per plate. If your just wanting to get a drink, Table 13 is the place for that also. The restaurant has a full bar with wine and whiskey highlighted, but beer lovers will also find a few options. Both the wine list and the whiskey bar menu are very long and also have something for every taste. Table 13 is open Tuesday - Saturday 5pm - close only and reservations are available at 509-598-4300 or by using Opentable at www.opentable.com . Table 13 joins a small group of other dining options inside Downtown Spokane's new Davenport Grand Hotel. Also inside, and open for business is The Grand Restaurant and Lounge, The Grand Terrace Bar and a Starbucks Coffee location. All attached to the Convention Center via skybridge, providing a great spot to stay and dine for visitors and locals alike. Randall & Hurley, is the largest third party administrator ( TPA ) consulting firm in the Inland Northwest. The business operates company retirement programs for many clients in our area. And this year Randall & Hurley is celebrating 20 years in business, having opened in 1995. And, in their 20th year, a lot is changing. While, still continuing to offer top notch service in the same industry they have built a positive reputation in. They are rebranding their company and the big news is their move to a new bigger office building. Randall & Hurley has operated out of the 16th floor of Downtown Spokane's Bank of America Tower. And, now they are leaving Downtown behind for a new modern office building in Liberty Lake. Randall & Hurley is taking over the former Liberty Lake Century 21 office building at 1328 N. Whitman Ln. nearby Home Depot. Randall & Hurley will use the entire building, which is about 12,000 square feet. The move will also open up more new job openings, they plan to hire about 6 with the move, adding to the 31 current employees that work for Randall & Hurley. Blaze Pizza has been hard at work at getting their first Spokane location ready to open, and they're almost ready. In fact, not only is this Blaze Pizza's first location in Spokane, it will be their first location to open in Washington State. 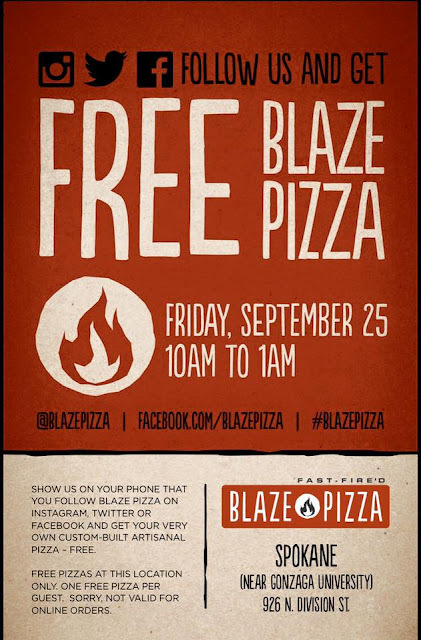 Blaze Pizza is fast casual style pizza restaurant, similar to the Mod Pizza chain that's recently set up a handful of locations in our area. Customers of Blaze Pizza locations, pick from a variety of toppings in a assembly line type setup, pizzas are then " fast fire'd " in 180 seconds and served up hot and fresh. The Spokane Blaze Pizza location will be in the University District, at 918 N. Division. The restaurant, which offers dine in seating, will be next door neighbors to Chipotle Mexican Grill. At this time it is the only location planned locally. Blaze Pizza occupies 2600 square feet of space and offer seating for 50 inside and a small amount of seating on an outdoor patio. The pizza's are 11 inches, thin crust and range in price from $5 to $7.50, gluten free dough and vegan cheese are also available for customers with special dietary needs. The Blackbird opened for business back in early Summer this year, so I'm a bit behind in reviewing it, but still in my opinion deserves the mention. The Blackbird is the new, more upscale sister business of Manito Tap House on the South Hill. And, just like at Manito ( another favorite of mine ) beer has a strong focus, just not quite as strong. The Blackbird is also a green restaurant like Manito, but that's about where the similarity's end. The Blackbird has a great location, on the ground floor of the historic Broadview Dairy Building at 905 N. Washington St. It's near Riverfront Park, Downtown and Spokane Arena. In fact it's the arena that finally got me here in the first place because we planned to attend the Shania Twain concert later that same evening. I love the building, it's history is incredible and The Blackbird has honored that. The décor is basic, mostly black and white and not over the top. The Space itself is only medium sized but there is a pleasant outdoor dining area facing Washington St. . Given this on a busy night, like when I was there, it can become kind of loud inside. The Blackbird's menu is a bit different then most other restaurants in Spokane. Specials are almost always available and include things like the most recent Moroccan lamb ribs and carrot fritters. The main menu is also unique and delicious with both a dinner menu and a brunch menu. Brunch however is only served 8am- 1pm. What's makes my day personally is the amount of meat dishes ( they do, however, have other options ) . Walking up to the building along Cataldo you can actually smell bacon cooking in the air. And, these aren't just regular plain burgers,etc... . The Blackbird serves up dishes like Brisket Sandwiches , Pork Belly and get this... bacon fat popcorn. Let me say it again.... bacon fat popcorn! Being a big lover of brisket, I naturally ordered the brisket sandwich. Unlike other restaurants sandwiches aren't served with any side dishes. But, I feel the sandwich served to me was plenty big enough and full of meat to not need a side. The meat was cooked just right and served uniquely on a cutting board, which you'll likely need because it's too long not to cut at least in half. I would defiantly recommend getting this sandwich. We did not divulge in any desserts during our visit to The Blackbird but most point out there are several offerings in that department. Including a bread putting with whiskey in it and much more. Would I come back to The Blackbird Tavern & Kitchen, most certainly! It's a real treat to have a place like this in our fine city and wish them much success for years to come. Five stars for sure! Suggest future restaurant reviews, to Matt Behringer at inlandbusiness@yahoo.com. Only rule is the restaurant must be under six months old, food trucks OK also. Only a couple of weeks ago it was announced that local developer, Jerry Dicker's Ruby Hospitality would be taking over ownership and operations of the Montvale Hotel in Downtown Spokane. The Montvale, the city's oldest hotel, has struggled since being effected by another developers bankruptcy, it's two restaurant spaces have sat empty in recent months. But, with the recent sale to Ruby Hospitality it was announced both spaces will soon be re-filled. The space next to the hotel lobby will become a coffee shop of some sort. 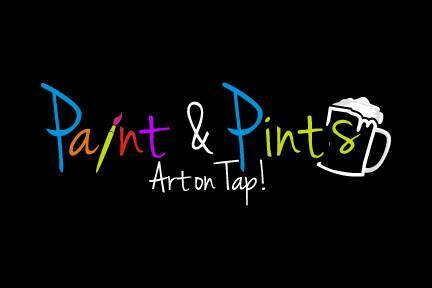 And, now we know more about what will take the basement space, that was last Catacombs Pub ( 110 S. Monroe ). That space will become a new craft cocktail bar and eatery called Gilded Unicorn. 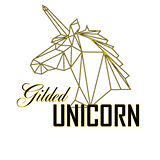 Gilded Unicorn appears to be a project of well known local chef Adam Hegsted, the same name behind The Wandering Table and Yards a Bruncheon in Kendall Yards. We are waiting to here back about when Gilded Unicorn will open for business, but we do know it will offer a full bar and a decent size food menu. An early look at the menu reveals mostly American dishes with somewhat unique twists. Everything from sandwiches, entrees, salads and smaller appetizer type dishes. A drink menu had not been published as of yet. Gilded Unicorn will be open seven days a week, Mon. - Thurs. 11:30 am - 12:00 am , Fri. & Sat. 11:30 am - 1:30 am and Sun. 8:00 am -2:30 pm ( perhaps for a Sunday brunch service ? ). Back in early March, Seattle based Pemco Insurance moved their regional offices from a space in Downtown Spokane to a bigger facility in Spokane Valley. Today the growing insurance company takes up 26,000 square feet of office space on the fourth floor of the Riverview Corporate Center at 16201 E. Indiana. In fact Pemco's offices there, take up about half of the fourth floor of the large office center. 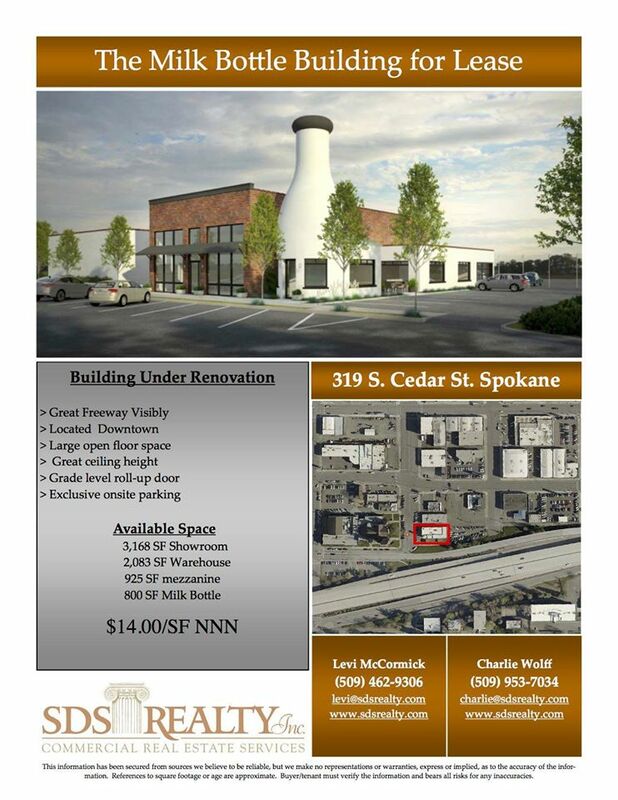 Who is moving into the former Nut Factory in Spokane Valley? The Nut Factory was a bit of a Spokane Valley landmark, with a unique name and easily visible from I-90 near the Barker Rd. exit. But, the company decided last year to close their retail store, move to a new warehouse and re-focus their business. Today, The Nut Factory still operates out of our local area but now only sells their various nut lines in wholesale and on the internet. So, it caught me by surprise when I noticed sold signs on their building last week, since it has been empty for awhile now. Turns out that building, a long with the former mobile home sales business next door we're sold for $1.87 million to a group called WT Investments,LLC and they plan to fix the property for use by their business , Viking Homes . 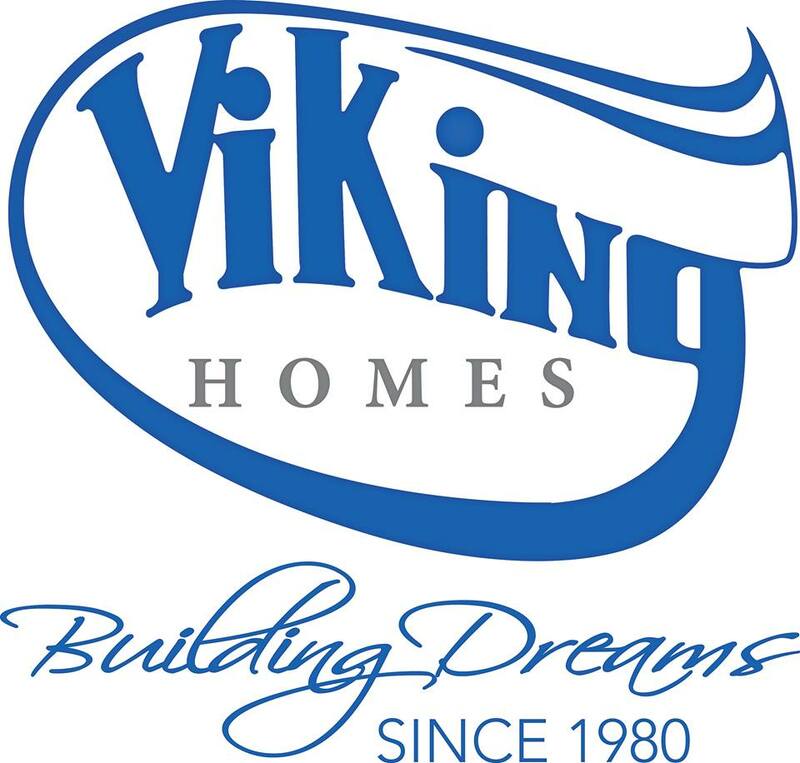 Viking Homes is a easily recognizable name in the Spokane market with several developments in Spokane, Coeur d' Alene and even the Tri-Cities containing their homes. 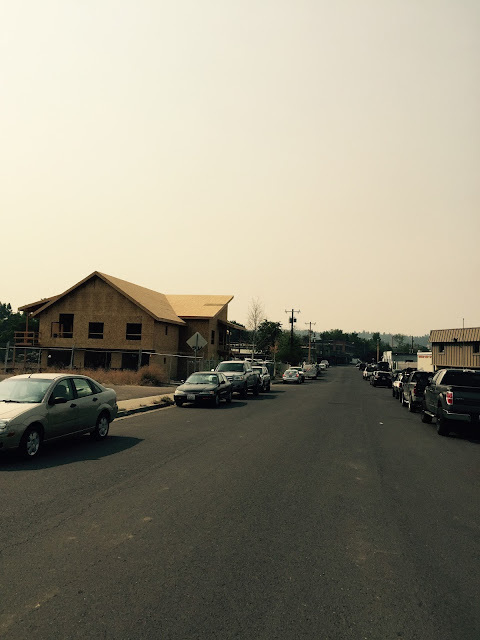 They even have constructed a couple of apartment complexes in North Idaho, with more reported to be on the way in the future. Viking Homes will occupy all of the 15,622 square foot building and adjacent 5+ acre former home sales lot. Their plans call for using this space to consolidate their current operations, which are in both Hayden,ID and Spokane Valley into this new site. The current offices will close upon completion of the move. 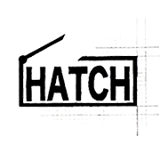 The new Hatch incubator is located at 9612 E. Sprague Ave. above The Black Diamond bar. There, Hatch takes up a total of seven office suites and already has a number of cool new business tenants. Among the business that can be found at Hatch are: Terra Obscura, Creative Consignment, ARU , Loud & Proud Entertainment and other painters, artists, writers and video artists. There even is still some vacant space available for more exciting new businesses. Hatch Creative Business Incubator also offers a event space, an on site classroom and meeting spaces. The owner of Hatch says they are a community and they harbor all true creative hearts. 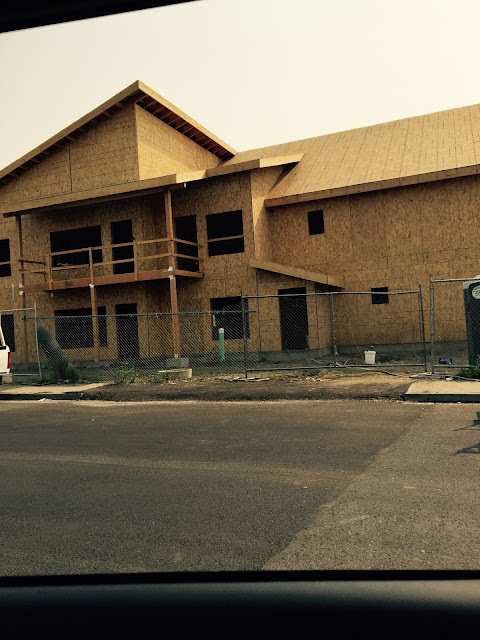 Another new apartment complex has been purposed to be built in the Southgate Neighborhood on the South Hill. Joining, several others nearby, including a couple complexes that only opened in the last couple of years. 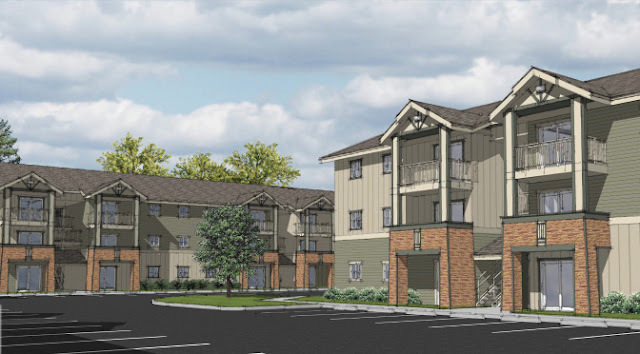 The project is called Palouse Trails Apartments , and will be developed by Whitewater Creek,Inc. of Hayden,ID. Palouse Trails is currently in the permitting / open comment period with construction yet to begin. The project is entirely residential and will be built along Palouse Hwy, east of the new Regal Plaza Shopping Center ( Where the new Target is ) . Just like other apartment complexes built by Whitewater Creek, Palouse Trails will be income based. This means the apartments will be available to residents making 50% of the median local income. As already mentioned this project is currently in it's open comment phase. If you'd like to share your opinions on this project contact John Halsey with the City of Spokane at jhalsey@spokanecity.org , the comment period runs until Wednesday, September 23rd. Breaking a cell phone can really ruin your day, making it difficult to get your calendar and contacts back, and of course not being able to check Inland Northwest Business Watch regularly ( like I know you all do ! ). But, one new business in Spokane Valley might just be the answer to help you out of the broken smartphone pickle. 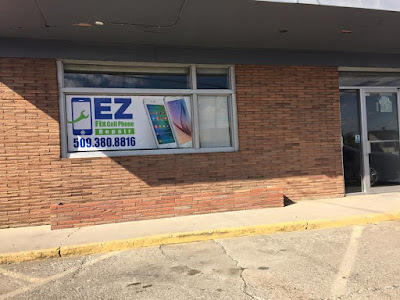 EZ Fix Smartphone Repair is that business and they opened recently at 11305 E. Sprague Ave Suite 102. The new location is a part of mini chain of smartphone repair businesses with locations around Washington. 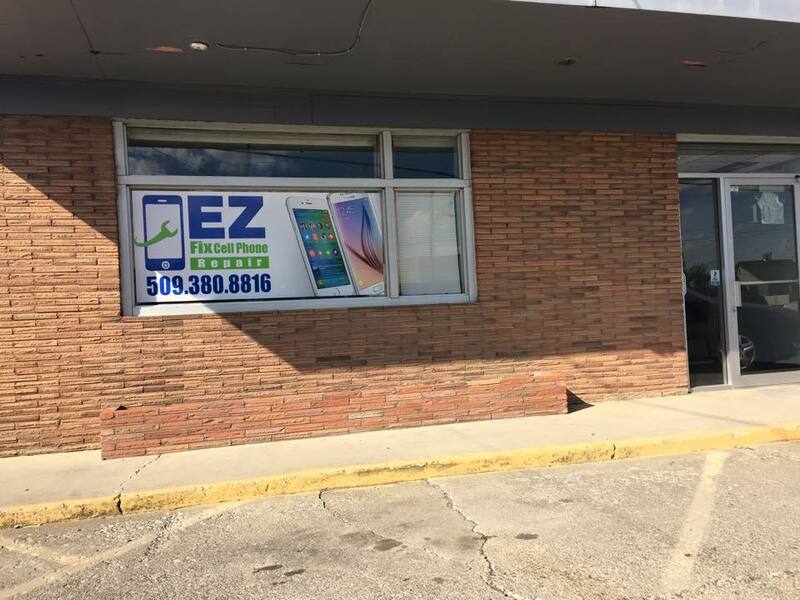 EZ Fix also operates stores in Pasco, Yakima and Kennewick ( under the Smart Fix Cellphone Repair name in Kennewick ) . EZ Fix Smartphone Repair can fix most any make or model of phone including Iphone's. Everything from broken screens to virus removal , charging port repairs , water damage and more. Repair isn't their only business as EZ Fix also sells H2O Wireless cell phone service and sells some accessories like phone cases. The business is open seven days a week and easy to find about a block west of the Sprague and Bowdish intersection. A Dream is a Wish will open in only a few more day's, a new space called A Dream is a Wish Princess Palace in about 1,200 square feet of space at 601 W. Maxwell just north of Downtown Spokane. 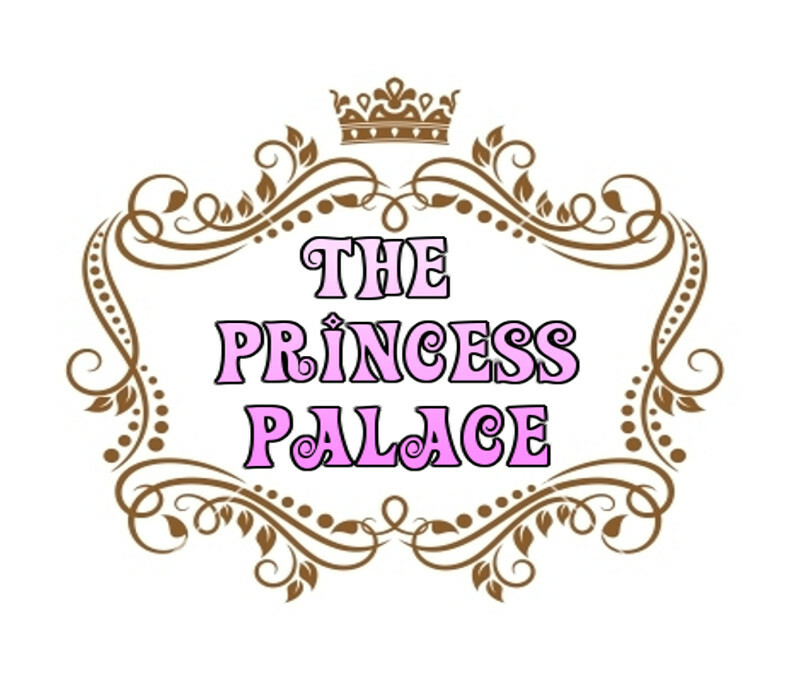 The Princess Palace will officially open with a grand opening celebration on September 19th . The grand opening will be a full party with " digging for buried treasure with the little mermaid, getting a makeover with the Snow sisters, making a craft with Cinderella & more! " . Guests of the grand opening must purchase tickets for $10.00 on the businesses web site, tickets include one child and one adult. But, the grand opening won't be the only time to check out the new A Dream is a Wish Princess Palace. As once open the palace will be available to be rented as a party venue with rental times available on Friday evenings and most anytime on Saturday and Sunday. 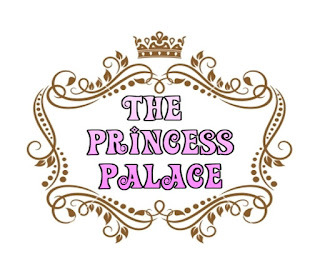 Parties held in The Princess Palace will have many princess themed features like makeovers, dance lessons and sing a longs just to name a few. Party packages are available and some add-ons are available like cakes, cupcakes, goodie bags, even a custom candy buffet table and more. A Dream is a Wish Princess Parties still plans of also continuing to host private princess parties with several party packages available for those as well. After a few years of building their business in a small storefront at 10617 E. Sprague Ave, La Michoacana Mini Market is moving to a much bigger space. And, in addition to the bigger space, they will also finally fill a building on E. Sprague that's been vacant for sometime and play a part in building up the area. At the present time La Michocana does not have a opening date as there is still work to be done. The new place will be similar to their last only bigger and more restaurant focused. Some new menu items will be introduced and more seating. La Michoacana will also sell meats, bread and pastries, and some Mexican grocery items. The business has gained quite the local following in recent years as some consider them to be the most authentic Mexican restaurant / grocery in the Spokane area. Actually already covered in a prior article from back in August ( Here- Jersey Mike's opening location near Northtown Mall ) is the new Jersey Mike's Subs location in Northtown Square. 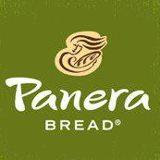 But, thanks to a helpful tip, we've found out that the chain's location there will be opening on October 6th. They are going in next to Sport Clips facing Wellesley. A new espresso place will be opening for business sometime around the middle of October by the I-90 Medical Lake exit. The place will go into the small building at the corner Westbow Rd and Aero Rd (10427 W Aero Rd. ). It's name will be Elixir Espresso and will have a full coffee drink menu. In addition they plan to have some foods, Coffee shop standards like muffins, cookies and pastries. Elixir Espresso will be primarily a drive through, but will also have a small inside area for customers to come in and sit and relax for awhile. Big things are coming to Coeur d' Alene's locally owned and operated Pepe Caldo Pizzeria. Citing a need for a bigger location the business recently closed up shop in the their small Midtown strip mall storefront ( at 1606 N. 4th ) . But we have been assured Pepe Caldo will still be in business, now in a new bigger location just over a mile away from the original. They have not gone public with the exact address of the new location but say it's on Ironwood Dr. ( perhaps nearby Kootenai Medical Center ) and the lease has been signed. We're still waiting to hear more details on this new place, however we have confirmed that a new bar call Gaslamp featuring " social provisions " is coming to the third floor of River Park Square in Downtown Spokane. The new business will be directly next to the AMC Movie Theater's box office in the former Arbor Crest Winery tasting room space. The space is being remodeled right now ( with a giant wall ad out front now ) and will likely also include some foods but menu examples is another thing we have yet to track down. We're told Gaslamp should be open by the end of the month, keep watching to more as I hope to do a full post on this exciting new place very soon. Cupcake and dessert bakery, Love @ First Bite has closed down their shop in Spokane Valley. They had been located at 14401 E. Sprague Ave. and are now selling off equipment, displays and similar. The float spa concept is sweeping the nation with new businesses popping up all over to provide customers with this newer, relaxing experience. And now the float spa idea has hit the Spokane area with the recent opening of Float Spokane. Float Spokane officially opened for business at the beginning of September and can be found easily, not far off of I-90 in Liberty Lake. Their address is 1334 N. Whitman Lane, Liberty Lake,WA 99019. The float spa concept used by Float Spokane is really quite simple, the customer floats, alone inside what they call a Dreampod. The Dreampod is a small capsule like machine that is filled with a high density solution of Epsom salts and 93 degree water. I'm told this concept allows the mind to shut out all stimulation and focus on healing and relaxation. Promoters of the float spa concept say that regular float sessions can help reduce, even chronic pain conditions like migraines, arthritis , etc... . They say it also boosts the immune system and can improve circulation among other things. Pricing at Float Spokane is straight forward with single float, packages and memberships available. For example a single float would cost $49 and memberships are anywhere from $110 - $360 a month, memberships do also require a limited 3 month commitment. Online booking for float sessions is also available on the new businesses website. Following through with the master plan, a new apartment building is under construction now, adjacent to the Riverwalk Plaza building ( 1003 E. Trent Ave. ) and just east of Downtown Spokane. This new residential component to the site is actually just north of the main building, with the apartments address being 722 N. Superior. The new apartments are being built by developer Mark Baier, along with Riverwalk co-owners Gavin Swenson and Dave Brig. The new apartment building is relatively large, but will only house six apartments. Additional land is also there for a second apartment building in the future, but that portion of the project is on hold for the time being. The 8,400 square foot building will house six apartments, all of which considered luxury apartments with patios facing onto the Spokane River. The building will also be close to Gonzaga and all will offer two bedrooms. It's also possible that the apartments in the new building may be converted over to condo's at some point in the future. Build Smart Northwest is the contractor on the project and the new rental units will likely open sometime during the fall. Leasing will be done by Riverwalk. Riverwalk Plaza is an historic commercial building located at corner of E. Trent Ave. and N. Columbus St. . It's home to several businesses, perhaps most noteworthy is the building is home to NoLi Brewing Co. brewpub in suite 170 and Dry Fly Distilling in suite 200. It's been speculated that the Native Grill & Wings restaurant chain was planning to open a location in Coeur d' Alene. And, now we have confirmed that they are coming straight from the company's corporate offices. However, don't expect them to open here for some time. That's because, the company rep. explains that they are still in the planning progress. The restaurant will be a franchised location and will likely be built off of Appleway just south of Winco. The rep. says they have a six month time frame to open, so perhaps opening in the Spring (?). Some construction work has already occurred on the currently vacant site with what looks like a parking lot or small street going in. Native Grill & Wings will be joined by a Freddy's Frozen Custard & Steakburgers and possibly a Cracker Barrel Restaurant all on the same block in the near future. 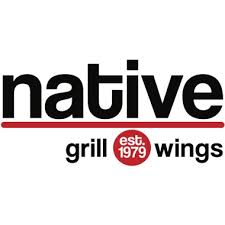 Native Grill & Wings is a growing chain of restaurants with their main focus being on chicken wings. They are an Arizona based company that began as Native New Yorker Restaurant , until a name change and rebranding just last year. Currently they operate locations in three US states and the menu changes a bit by region but is still mostly wings, burgers, pizza, sandwiches and more. Cold beer is available on tap as are several specialty wing sauces. The new Coeur d' Alene Native Grill & Wings location will be the only location in the area as none are planned for Spokane at this point in time. The building size and amount of new jobs created has not yet been released as of this posting time. Renovations are coming to the AMC River Park Square Theatre over the coming months. But, since " the show must go on " the theatres will remain open during the work with only occasional minor inconveniences to customers. And, once complete, customers will have one very cool new feature to watch their favorite flicks in, recliners. The plan calls for replacing the seating in the theatres with new plush power recliners with larger arm rests and still with cup holders. While the new seating will be nice, it's not all that is in the works for the newly renovated River Park Square AMC. New theatre screens will be added along with sound system upgrades. Fresh paint and carpet will be placed throughout the facility and restrooms will also be renovated. The remodel will be done " floor by floor" with an estimated completion coming around December. Even the concession stands will be changing a bit, with some new " enhanced " menu items. The River Park Square AMC Theatre is a 20 screen movie theater located on the fourth and fifth floors of River Park Square ( box office on third floor ). It is also home to an IMAX theatre playing all of the latest hit movies. This is the only AMC Theatre location in our area, as the majority are either Regal Cinemas or locally owned. The new Winco Foods grocery store at the corner of Appleway and Ramsey Rd. looks to be acting as a bit of catalyst for new development in their part of the City of Coeur d' Alene. While much of Winco's attached retail center ( Crossroads at Coeur d' Alene ) remains empty the area around it is starting to change. A new apartment complex is now open next door and some sort of new development with restaurants is breaking ground on Lee Ct. just feet south of the store. Spaces in the new center are open to most any kind of business- retail, restaurant or service and all spaces are similar in size and are all inline. The middle space will be the largest with 1,960 square feet and all others in the 1,750 square foot range. The marketing flyer also shows a drive through option on the end cap space. Inline space is leasing for $19 per square foot NNN and end cap space is only a little higher at $22 per square foot NNN . The property boasts over 200 feet of frontage on Appleway and will likely also include some sort of signage for it's tenants. A new food truck called Frizzle Fries has opened for business in Coeur d' Alene's Midtown neighborhood. Frizzle Fries, as the name implies serves many different types of French Fries with several different types of gourmet toppings and sauces. Frizzle Fries is a small trailer location in the parking lot of Castaway Fly Fishing Shop at 1114 N. 4th in Coeur d' Alene. A new locally owned franchise of GNC Live Well supplement / sports medicine stores has opened for business in Northwest Spokane's Five Mile Plaza Shopping Center. The new store will occupy 1,200 square feet of space and is only one installment for the rapidly expanding chain locally. Another GNC, from the same franchisee just opened last Summer at 509 N. Sullivan Rd. in Spokane Valley, and locations in Airway Heights and Downtown Spokane have also opened over the last few years. Oregon based Lamination Technology Industries, Inc. has leased 40,000 square feet of space in building 29 of Spokane Valley's Spokane Business & Industrial Park and plans to relocate their local operations there from their current location Liberty Lake. Lamination Technology Industries, Inc.'s primary business is the lamination of decorative overlaid panels and components. Looking for a good deal on gas this Labor Day weekend? Well, you may want to make note of the Kalispel Tribe of Indians new Chevron gas station in Airway Heights. The Kalispel Tribe already operates Chevron at Legacy Landing, adjacent to Northern Quest Resort & Casino but will now also include this station in their growing list of local properties. The new gas station, will also be branded with Chevron gas and offer a on site convenience store. This new station however will be a little further down, this time located on the western edge of the City of Airway Heights. It was built on land already owned by the tribe near the corner of US 2 and Lyons Rd. - In celebration of the opening both this station, and Chevron at Legacy Landing will offer 15 cents off gas with use of a Camas Rewards Card. This extra discount will only be offered Sept. 4th - 7th. - A free grand opening BBQ will be held from 11:00 AM - 5:00 PM on Saturday, the 5th. A new escape room business called Claustropanic is now open in North Spokane after having a grand opening in the middle of August. The new business is locally owned and operated and can be easily found at 1325 E. Francis Ave.
At Claustropanic, you and your group of up to 8 are locked into a themed room and must figure out how to escape using clues, riddles, puzzles and codes. Each group gets 60 minutes to escape from the themed room and there are 3 themed rooms available. The rooms include a kidnapping/ torture room , crime scene room and the Asylum . The cost is $20 per room and is great idea for date nights, friends and family, company / group teambuilding and really any special occasion. Patricia & Laurent Zirotti , owners of the upscale Fleur De Sel French restaurant in Post Falls are branching out to Spokane. But, instead of expanding with a second location, they have created a new quick casual style crepe restaurant concept that they hope to launch soon on the Lower South Hill. The new restaurant will go by the name, Fleur De Sel Artisan Creperie . 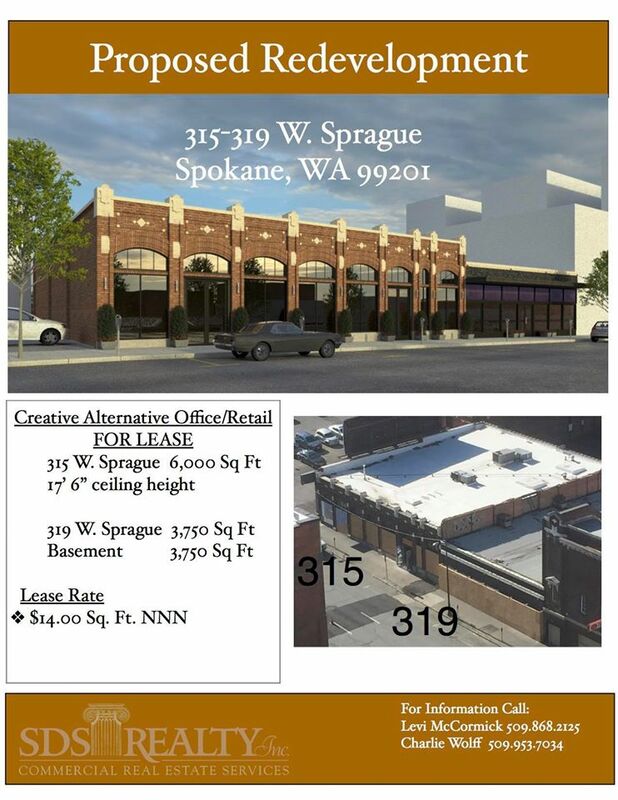 This new crepe business will occupy a space at 909 S. Grand Blvd, nearby Sacred Heart Hospital and only a short drive south of Downtown Spokane. Fleur De Sel Artisan Creperie is tentatively scheduled to open around the end of October or early November, with work underway now. The new place will be managed by Harry Crase, a long time employee of Fleur De Sel. 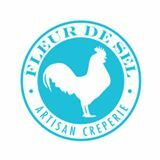 Fleur De Sel Artisan Creperie will have a menu of many different types of crepes for most any taste. Both sweet and savory crepes will be available with the following examples given: Savory crepes, like chicken and truffle or a steelhead trout crepe. And, for sweet crepes, lemon curd and salted caramel. The new restaurant's main focus will be on breakfast and lunch with hours of operation planned to be 8 - 5 Monday - Saturday, closed Sunday to start. Downtown Spokane's highly anticipated new Anthropologie store opens this Friday, Sept. 4th at 10:00 AM . After the opening the store will now continue to be open Monday - Saturday 10AM - 8PM and Sunday 10AM - 6PM. The new Spokane Anthrologie store is located directly across W. Main from River Park Square in the West 809 building. This is the former home Mobius Science Center who will be re-opening in the near future in the historic Post Street Substation building just north of River Park Square. Anthropologie is a trendy growing chain of retail stores based in Philadelphia,PA with over 220 locations in the United States and abroad. The stores ( and the company's web site - www.anthropologie.com ) sell women's clothing and accessories, cosmetics, footwear and housewares. This will be their first location in our area although the company does already operate stores around Seattle and Western Washington. Their parent company is Urban Outfitters, who is also a chain of retail stores that is planning a location in Spokane. The Spokane Urban Outfitters store will open next year in a new building, being built now on the site of the former Saad Building, next to River Park Square and only a couple blocks away from the new Anthropolgie store. Unfortunately, we have no exact details on how many new jobs this store opening created. But according to permits the space has about 12,000 square feet including sales area and backroom / office space. Anthropolgie won't be the only new business opening this fall in Downtown Spokane's West 809 building . A locally owned and operated clothing boutique with a small coffee café in the front will also open very soon at 809 W. Main directly across the street from River Park Square. The business will be called &Kloth and is a sister business of Fringe Boutique, a well known boutique and salon on the South Hill and in Wandermere, which also remains in business. &Kloth hopes to be open within the next couple of weeks, they will have 2600 square feet of total space and employ 8. &Kloth will be a unique store that they describe as "Anthropolgie meets Banana Republic with a Fringe twist" . The clothing at &Kloth will vary from casual and comfortable to city chic . Clothing styles promise to be attractive for ages 18 -60+ with items priced around $30 - $150. In addition to clothing, &Kloth will also have a selection of jewelry, accessories , home item, gifts and more. The front portion of &Kloth will be a small coffee café called &Kup which will be a high end , cool & trendy space serving up coffee drinks using Doma Coffee. Back in June I was first to report of a plan to open a Natural Grocers grocery / supplement store here in Spokane. I can now confirm that Natural Grocers will be opening a store here in Spokane. The growing Colorado based chain has confirmed, and began the permitting process for a new store at 4511 N. Division in the same neighborhood as Northtown Mall and across Wellesley from Northtown Square Shopping Center. The new Natural Grocers store will be built as an addition on to the north side of the Office Depot / Sports Outlet retail center. The store will be 16,000 square feet with a value of about $2 million. To make way for the new store, the neighboring Office Depot will also do some remodeling. There is no opening date set yet for the Spokane Natural Grocers location but when it does open it will employ about 25. This will be the second Natural Grocers store in the Inland Northwest as the chain opened a location at 222 W. Neider Ave in Coeur d' Alene in 2014. Also, noteworthy is this new store will be under a mile south of the new North Spokane Trader Joe's store planned to open next year in the Franklin Park Commons Shopping Center, also on N. Division. Although the planning process is still ongoing, and actual building construction may not start on their site till spring of 2016. 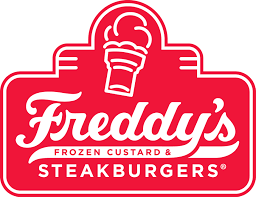 A franchise location of Freddy's Frozen Custard & Steakburgers is coming to Coeur d' Alene and has been confirmed by their corporate offices. A preliminary site plan has been filed for a 3,583 square foot restaurant to be built just south of the Crossroads at Coeur d' Alene shopping center, nearby the corner of Appleway and Ramsay Road. A franchisee has also been secured and plans are moving forward. At the present time this will likely be the only location of Freddy's Frozen Custard & Steakburgers in the Inland Northwest as no locations are currently in the works for Spokane. 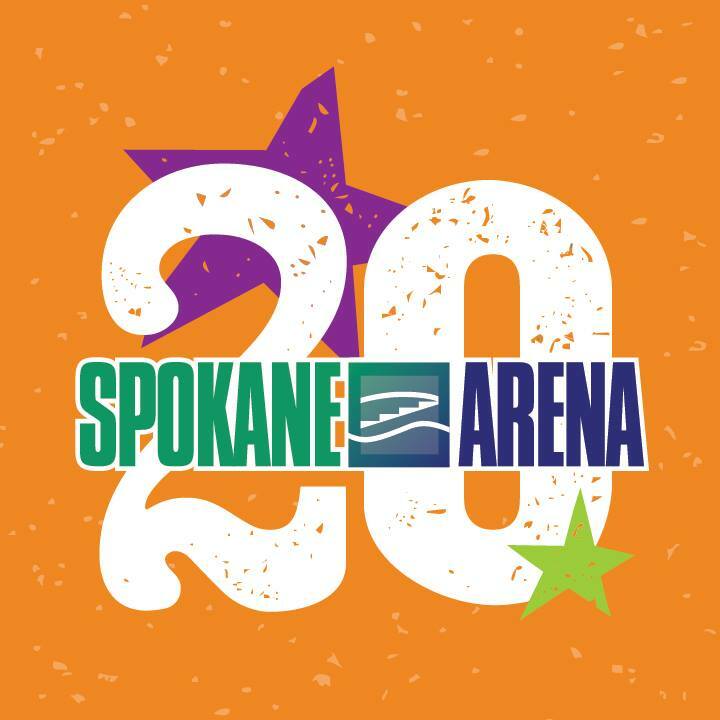 Although the company rep did say " we are growing quickly and hope to have the opportunity to serve the Spokane market in the coming years ". Freddy's Frozen Custard & Steakburgers is a fast casual style restaurant chain based in Wichita,KS. . Currently they have 161 locations in 23 US States. All menu items are cooked to order and include premium ground beef steakburgers, Vienna Beef hot dogs and shoestring fries. Dessert items are also big at Freddy's several treats prepared with freshly churned chocolate or vanilla frozen custard. On a side note, Freddy's Frozen Custard & Steakburgers is not the only business planned to go on this site near I-90 and Winco. A location of Native Grill & Wings is also reported to be in the planning phase although we are still waiting to hear more from their corporate office. A Cracker Barrel is also believed to be planned there but no official site plan has been filed yet. Some site work has already begun with equipment on the site ready to go. We will continue to keep and eye on all of the restaurant developments here.